22 page PDF of overviews and how-tos. The new URSA Mini Pro has built-in ND filters, interchangeable lens mounts, camera left-side outside LCD display and control panel, thoughtful ergonomic switches and dials for faster and easier operating. The body is the same size as URSA Mini 4.6K, so all the existing accessories will fit and work. The sensor is the same as URSA Mini 4.6K: up to 4608 x 2592 resolution with 15 stops of dynamic range and the same wide color gamut. Three ND filters with IR compensation can be summoned up with the twist of a dial: Clear, 2, 4 or 6 stops. URSA Mini Pro’s main display on the surface of the camera’s left side shows timecode, shutter and lens settings, battery, recording status, and audio levels. 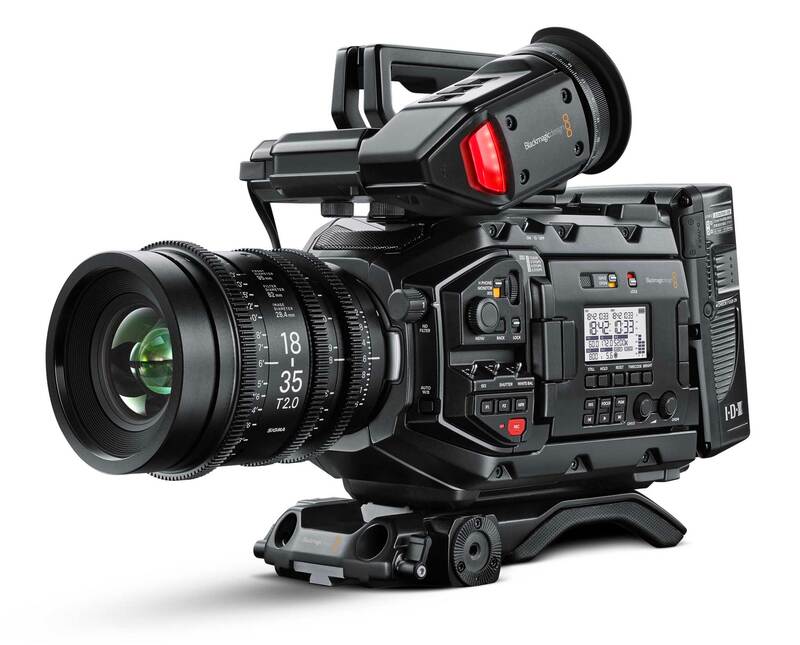 Blackmagic Design’s URSA Mini 4.6K camera has the same Super35 (25.34 x 14.25 mm) CMOS sensor that can record files internally onto inexpensive CFast 2.0 Cards—from HD through 4.6K CinemaDNG RAW or UHD ProRes. There are two models of URSA Mini 4.6K: EF or PL mount. Unlike the Pro, you have to decide on one or the other. Download the 22-page FDTimes Special Report and Quick Start Guide.